All-New Volvo Cars, Built Local and Sold in South Carolina at Volvo Cars Hilton Head! While the Volvo Car brand prides itself on bringing premium Swedish-designed luxury vehicles to the world, some of you in the Hilton head, SC area might not realize that there is a spacious selection of Volvo cars near you that are manufactured right here in South Carolina. 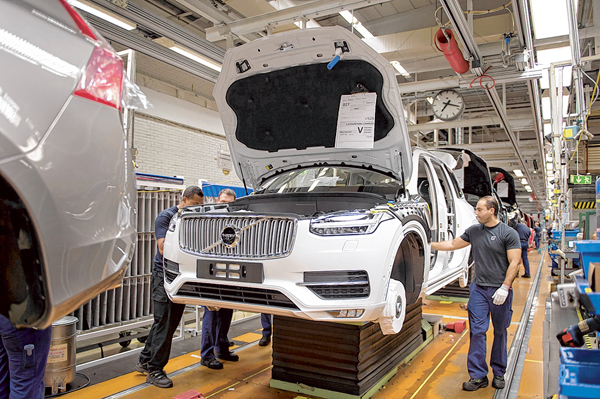 The Volvo Car Company recently opened its first US-based plant less than two hours away from us, located in Ridgeville, South Carolina. All of the locally-sourced Volvo cars released from this plant come to our doorstep here at Volvo Cars Hilton Head for your purchasing or leasing pleasure in our new inventory. When you invest in a new Volvo car from our Bluffton, SC Volvo dealership, you are supporting the jobs of hundreds of hard-working Americans, located right here in South Carolina! Discover your new Volvo today here at Volvo Cars Hilton Head, located less than 45 minutes outside of Beaufort! Volvo cars are all of exceptional quality, reflecting the premium sophistication and luxury you have come to expect. However, when you purchase or lease many of the available luxury sedans which our Hilton Head, SC new luxury car inventory has to offer, you will also enjoy peace of mind knowing that you are supporting hundreds of local jobs created through our Ridgeville, SC new Volvo plant. While the Volvo Car Company has held the desire to bring USA-made Volvo cars to Americans for many years now, it was not until 2015 that this dream became a reality and ground broke on the newest Volvo assembly plant less than two hours outside of Bluffton, SC in Ridgeville. The construction of this Ridgeville, SC Volvo plant finally reached completion in 2018 and, since then, the manufacturing team at this South Carolina Volvo plant works tirelessly to bring these exceptionally-designed premium luxury vehicles to the United States. When you invest in one of our fine luxury sedans from our Bluffton, SC Volvo car dealership, you will have the knowledge of knowing exactly where your new Volvo is manufactured, and you will drive with confidence knowing that your financing and leasing efforts go towards supporting hardworking South Carolinians such as yourself! 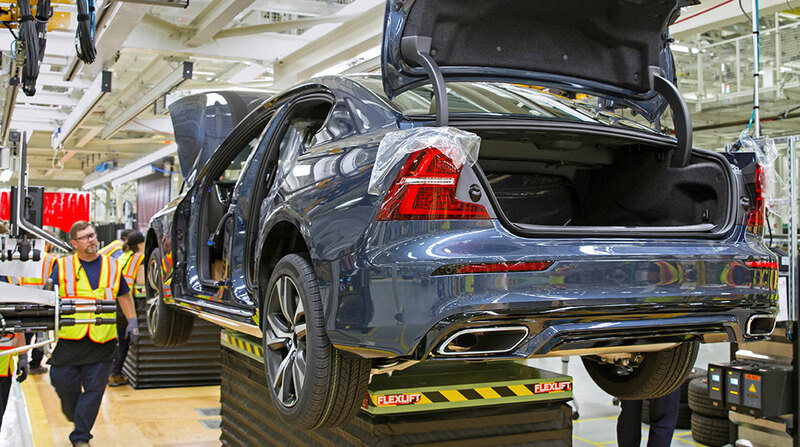 When the Ridgeville, SC Volvo assembly plant opened, it began production on a wide variety of all-new Volvo S60 sedans models for you to enjoy at our Hilton Head Volvo dealership right near Hilton Head Island. The Volvo S60 is one of the more popular Volvo sedan models across the United States, including among your neighbors, but we here at Volvo Cars Hilton Head will soon see the arrival of another popular Volvo SUV brand at our locally-sourced plant: the all-new Volvo XC90. Where the Ridgeville, SC Volvo factory goes from there is open-ended, but we here at Volvo Cars Hilton Head are quite confident that the next few years will bring us a diverse selection of Volvo cars, coupes, and SUVs, all locally-sourced and assembled right here in the USA. Take a look at our new Volvo S60 inventory and check out everything that makes this premium luxury sedan such a popular choice among your Hilton Head and Hardeeville neighbors. Feel free to peruse our new Volvo S60 inventory to see if any of these USA-made luxury sedans has everything you need in your next daily driver. Start shopping local today and test drive a Volvo sedan right here at Volvo Cars Hilton Head! Our dealership is conveniently located just a half hour outside of Port Royal down State Route 170 East in Bluffton, SC. See you soon!